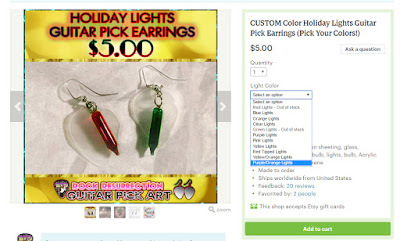 Two NEW light colors have been added to the Custom Colors Holiday Lights Guitar Pick Earrings! Now with orange/purple and yellow/orange lights! Due to popular demand I am out of red and green lights.